Hi! How are you? I hope the long weekend is treating you well and keeping you happily busy (or relaxed, if that’s your preference)! 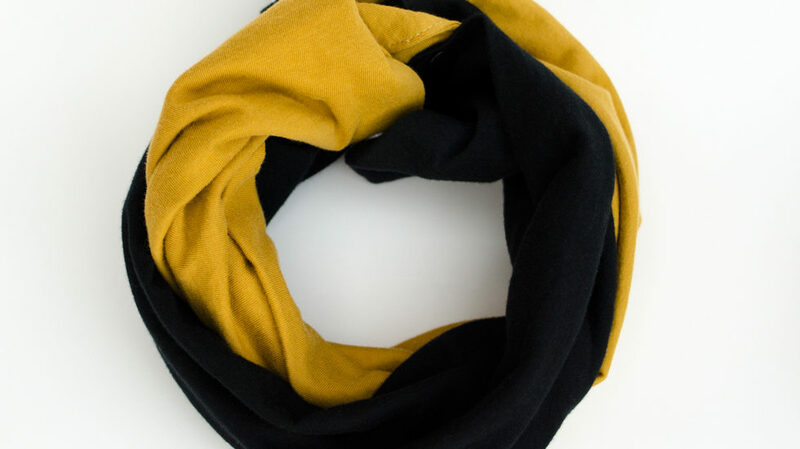 Black jersey baby infinity scarf doubled up with a mustard baby infinity — a longer scarf, and one hue more adorable! 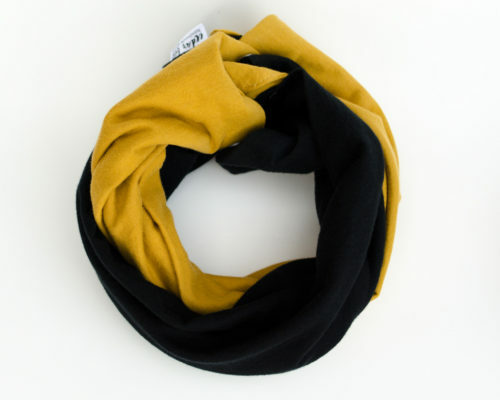 Just wanted to let you know that my black jersey baby infinity scarf is back in stock (with very limited supply). If you’ve been waiting, now is your chance! 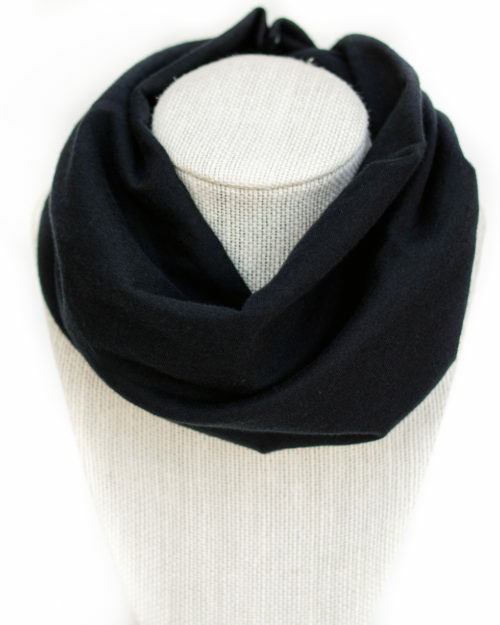 Share the post "Back in black!"